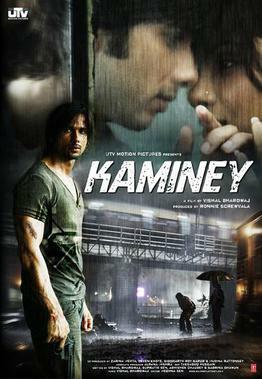 Q: What goes through your mind when you go to the theatre to watch a highly anticipated movie like 'Kaminey'? A: You want a crisp story, good direction, brilliant performances, nice songs... In other words you want a total paisa vasool show. And Kaminey delivers just that. In these times of utter crappy movies (like Kambakht Ishq) or total bore ones (like New York) or somewhat ok ones (like Love Aaj Kal), this movie comes like a breath of fresh air. And a lot of the credit goes to the director - Vishal Bharadwaj. So lets start with the story. This is probably Shahid's first movie where he has a double role. One as Charlie - a gangster who wants to be a bookie, lisps (pronounces S as F). The other brother, Guddu - an NGO worker who has big dreams, stammers and loves Sweety (played by the gorgeous Priyanka Chopra). Both got separated when their father committed suicide and went separate ways. Then during one of inter-gang-crossfires Charlie hits jackpot when he gets cocaine worth ten crores in the 'guitar' . Guddu gets Sweety pregnant and so has to marry her. But then he realizes that she is the sister of a top goon - Bhope bhau, who in turn wants to become a politician. What follows is a pacy story of how they get out of the mess and claim their lives. Not once will you yawn during the 2 hour show that the story is getting boring. Next about the direction. Typical Vishal Bhardwaj stuff but then you want the same style. Anyone who has seen Omkara would agree that his dark handling does wonders to the movie and never does it get dragged into the typical Ram Gopal Verma style of gangster movies. Now about the performances, Shahid does an commendable job. The biggest difficulty when playing double roles is to keep the two characters separate and Shahid does that part brilliantly. One person's stammering and the other's lisping are executed well. Priyanka does well in whatever small role she gets of Sweety. She has her typical bubbly and sometimes crying persona. Among the other actors, Amol Gupte as Bhope bhau was good too. But its mostly Shahid who dominates. The songs all get overshadowed by one top notch number - Dhan Te Nan and its melody gets repeated throughout the movie. Among the others Pehli Baar Mohabbat is melodious. But rest all just merge well with the movie. In all, a movie definitely worth watching once maybe twice (mostly twice). I bet you would feel satisfied and come out of the theatre feeling good that you had a paisa vasool time. A week ago on 5th June 2009, a certain incident took place. An incident which was to have serious consequences on my future. An incident which shook the very foundations of my over-the-top-spending, too-much-How-I-Met-Your-Mother-watching, playing-Mafia-Wars-on-Facebook ... life. Well, I exaggerated in the last part. But it surely was a significant incident. This took place on the beautiful morning of 5th June, 2009. As usual, I woke up at 6 am, a good one hour before my usual (by usual I mean what I used to do one month before) time. And this was so that I could go for some jogging in the morning. Why jogging? Now that is a question that you would not have asked if you had seen me. The 9-6:30 job in front of a computer all the time had started to take toll on my health and quite naturally (and very usual for a Software Professional) I had started to develop a bulge. It didn't bother me that much 'cos I was never really the athletic kind and also not the I-date-girls type. But this one fateful weekend in April I went to Kemmanagundi (where I had taken this beautiful picture of my feet on the left) and had to trek quite a bit down to Hebbe falls and then climb back up. The trek wasn't too difficult but I was panting after some climb itself. Its then that I realized I had to work up and do something. And the most logical choice was to start running. So back to Bangalore, I went straight to an Adidas showroom, bought a brand new pair of running shoes and there I was ready to start the eternal struggle against the burgeoning bulge. Hey, we are deviating from the main subject. Lets get back. So where was I? Yes. That morning. So after a round of nature's small and bigger calls (and having felt relieved after that, don't we all?) I put on my running gear which comprises of a pair of track pants and t-shirt and my Adidas shoes and headed out. I took up my usual route which was first a down-lane (I mean it was downhill but there was no hill, just a lane, so down-lane). All was fine. Since it had rained the night before, the route was a teeny bit damp and the air was chilly. I was enjoying the cool Bangalore morning breeze, looking up to the beautiful flowers springing on the trees which formed a part of my route and also keeping a lookout for the other flowers who took the pain to come out in the morning (they came out for their jogs/workouts/walks whatever but in the process they do shower a lot of happiness to the surroundings and people they interact with). So now there is this turn where I reach the farthest point in my jogging route and I have to take the parallel road back to my place. Its a kind of pothole-infested point and especially that morning due to the heavy showers and wind, a lot of stuff was lying around that area along with water which had filled up the potholes. And then it happened. My right foot landed on one such spot and as I transferred my balance onto that foot, I suddenly felt the ground give way (like what they say in Hindi - mere paon tale zameen khisak gayi). OMG! For a split second, I was under shock. Dhud! I fell down twisting my ankle in the process. My track pants greased the road and attained a whole lot of dirt in the process and for five minutes I was in immense amount of pain. It was through a lot of mental strength that I managed to not cry. But what mattered at that moment was not the mental but the physical strength. So I garnered whatever ounce of strength I had in me and got up, dusted myself and tried to walk. Putting any amount of weight on the right leg was like asking a 5th grader to solve a Calculus Problem. Too difficult but not impossible! Somehow, I managed to limp my way home. My roommate, who had just got up from sleep and successfully managed to evade the need to go for jogging was stunned. Ki holo tor paye? (translated from Bengali to English it meant - What happened to your leg?) The pain in my leg managed to cut the story short to just 5 words - Ami dourate giye pore gechilam! (again translated from Bengali to English it meant - I fell down while running!) That spurned a sudden spike of activity wherein he helped me get to the chair and sit down. Next he put on the geyser and filled a bucket half full with hot water and another half full with cold water. I was to alternately dip my leg into the two buckets in what was the hot-and-cold-water-therapy/massage, something suggested by my dad whom I managed to call while on the way back home. Ten minutes of therapy and I suddenly felt a lot better. But I was late for office. So I rushed (where rushed means quickly limping) to my room to get ready. Somehow I managed to do that and come to office. I had brought crepe bandage with which I duly bandaged my ankle and simply sat down on my seat. Since Fridays are typically lazy days in office with not much work, I was happy. But then nature's calls are something you can't avoid and a visit to the loo became the most difficult task for me for the day. Still I managed it along with a visit to the cafeteria for my lunch. What was interesting was the number of 'get well soon' messages that I got. I had updated my status message on all my social network profiles viz. Orkut, Facebook, Gtalk, Twitter. People who had never scrapped me started sending scraps asking about the health of my leg. So many people pinged me on Gtalk. The comments I got on my Facebook status turned out to be a discussion in itself ranging from the status of my leg and the status of the ground where I fell upon. And that's when an idea struck me. Why not keep updating the status of my foot right through the week! So any improvement was duly reported as status messages on the respective social networks. And as I had thought it produced the desired results. When I reported that I could barely walk, people asked me how bad was it. When I reported that I could now walk but not climb stairs and all, people asked me if I had consulted a doctor. When I reported that I could walk well but not run, people asked me the need to run and where the urge came from. Well, I made the last one up. But it does prove that the little experiment that I did with my social networks did prove successful. So now I am finally reporting the status of my injured ankle. The ankle is a lot better and I have successfully managed to give it the much needed rest over the last two weekends. Walking is not so much an issue but still running is. I tried to have a practice run last weekend but my first jump desperately told me to stop and forget about the idea for the moment. Those of you who may be wondering what happened to that ground where I fell upon; well when I last saw it it was fine although I must admit I wasn't in the state for a more precise inspection of that piece of land. So this topic is still open for speculation and debate. Talking about bulges or rather paunches, here's an Ode To A Bengali Paunch by Amit Varma. हम DETTOL के सिवा कुछ लगाते नहीं. And its not to the tune of music. I mean I do dance to music. Whenever I have been to discos, I have not been on the sidelines watching the pretty babes dancing but actually been shaking a leg or two with them (although I must say I am a pretty bad dancer, though better than Sreesanth). But I just couldn't fathom a better, more fitting name than this. The Kolkata Knight Riders (KKR) had won their second consecutive match in the Indian Premier League Season 2. They had defeated the Rajasthan Royals (which the Fake IPL Player calls Big Sister's team) ensuring that the defending champions bow out of the competition before the semi-finals. And this time too, the match went down to the wire. And this time around the unlikely hero was Laxmi Ratan Shukla. And guess who was at the other end to provide support? Ajit Agarkar. Who would have imagined that? Especially after the departure of Hussey. It was a complete transformation. KKR had won this match without the batting prowess of McCullum, Hodge and Hussey. Wow! In one innings of 48 not out from 46 balls made under a pressure situation when KKR were down 5 wickets for just 37 runs, Shukla had shown what he was capable of. But the victory also belonged to two other knights - Ajit Agarkar and Charl Langeveldt. Agarkar had scored an unbeaten 13 off 17 balls establishing a partnership with Shukla to see KKR through. He also clocked a bowling figures of 4-0-15-2 which means he bowled 4 overs taking 2 wickets for 15 runs giving 3.75 runs per over. Did he actually do that? I mean I will have to think hard to remember the last T20 match when Agarkar had conceded less than 6 runs per over and also taken wickets. And the other star was Langeveldt. Where had you hidden him Buchanan? He was outstanding in the match taking 3 wickets for 15 runs in his 4 overs. If only KKR had played him before! But if you had to single out a comeback match, it had to be the previous one against Chennai Super Kings. CSK batsmen had again put up a fine performance piling up 188 runs off their 20 overs on the back of a superb knock by Suresh Raina and a cameo by Captain MS Dhoni and Morkel. Raina was particularly good smashing 3 sixes. And all that was done without Hayden (the orange cap owner) playing. KKR had started off poorly. Dada again departed early having been bowled by Murali for a mere 4 runs off 14 balls. From there McCullum took over. He smashed 81 off 24 balls studded with 11 fours and 3 sixes. He spared no bowler in his pursuit of showing everyone exactly what he and KKR batsmen were capable of. On the other side was Brad Hodge giving able company to his captain. When McCullum fell in the 13th over with the score at 124 having been bowled by Jakati, it looked like match over again for KKR. But Hodge had other ideas. He lost Hussey to a totally foolish run out but found a partner in Saha. Together they went on to put up a match winning partnership of 56 runs of 28 balls. What struck me in both the victories was the never-say-die attitude of the KKR team. An attitude which I and all other KKR fans had been looking for from the very start of the tournament. An attitude which we thought they had forgotten having lost so many close and not so close matches. Both the above matches were chases. The first one was a big one and the second a small one. In both the cases, while chasing they were in dire straits at a point. A point where it looked as if we were going to see the now-very-familiar KKR debacle. But they had come out of the predicament. First match via Hodge and Saha and the second one via Shukla and Agarkar. Too good! This is what I had been dying to see. When KKR won the match against CSK, I was in my hotel room in Ooty with my brother. We both danced and shouted at the top of our voices. So much so that all the other boarders understood that there were KKR fans in room 101. But when they won against Rajasthan Royals, I was at home dancing alone. 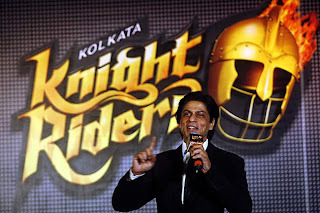 I had said that if Kolkata Knight Riders would go on to win the tournament, I would dance on the streets of Chowringhee with Shah Rukh Khan and the other fans to the tune of করব লরব জীতব ের (Korbo Lorbo Jeetbo Re - the theme song of Kolkata Knight Riders). Well, that didn't happen. But after both the victories, somehow I could hear করব লরব জীতব ের playing in the background and I did dance to it. আজ google এর transliteration labs এ এসে যখন দেখলাম যে বাংলা তেও এখন লেখা যাবে তখন আমি আর থাকেত পারলামনা. আমাকে এই post তা লিখতেই হত. আসা করছি এর পর থেকে আরো বাংলায় লিখবো. 1) Status messages which wanted to convey some event. These status messages were in general like 'Been promoted', 'Got through to XYZ', 'Back from ABC trip' etc. Many a times they were accompanied by links which could be photo albums or blogs on that event or links that described that event. 2) Status messages which tended to be philosophical in nature. These contain quotations or mere one-liners or some poetry. The 1st category falls into the group of people who are well off or happy. That is because people don't publicize negative or sad events on gtalk. Its the classic example of sharing happiness with all but sadness with select people. What I am interested in is the 2nd category. If you ever delve into this category, you will find a lot of emotions plugged in. And they are heavily linked to what that particular person is going through or feeling at that particular moment. Like one message which says 'The greatest pleasure in life is in doing what people say you cannot do'. Guess what happened to this guy? He had been in love with a girl whose parents had been against their marriage. And most people who knew him thought he didn't have the guts to stand up for her. He not only managed to do so, but also married the gal. He proved everyone wrong. Another one was from a lady who got through to IIM-A and proved herself to her boyfriend and current IIM-C student - 'Men are like bank accounts. Without a lot of money they don't generate a lot of interest'. Attitude! You can forgive her for doing that now. People who are yearning for success wrote stuff like 'The road to success is always under construction', 'Efficiency is doing things right, effectiveness is doing the right things', 'The desire to succeed means nothing without the will to prepare', 'Tough times don't last, tough people do', 'Some people believe in destiny and some people make their own. Which category are you?' and 'There are no Failures. Just experiences and your reactions to them'. Marvellous. I fell in love with them. How true and how self-reflecting each of them were! Some guys who just fell in love wrote stuff like 'Sometimes love is for a moment, sometimes love is for the lifetime'. And at times some more philosophical ones like 'Freedom is not worth if it does not include the freedom to make mistakes', 'Happiness is not a station you arrive at but a manner of travelling', 'You see things and you say - Why? I dream things and I say - Why not?'. Amazing. What is fascinating is that these messages are not necessarily their own creations but more or less show what those people are thinking at that point. I came up with one myself - 'Tell me and I forget, teach me and I remember, involve me and I learn.' Guess what it tells about me? Can the Knights Ride home to the ultimate victory? Yesterday, while watching the Indian Premier League (IPL) coverage on television, I couldn't help but ponder on the fact that how brittle the Kolkata Knight Riders' team looked in totality. Kolkata Knight Riders had just won their match against the 'injured' King's XI Punjab via the Duckworth-Lewis method and they were showing Mandira bedi's interview of Shah Rukh Khan (SRK), the owner of the Kolkata Knight Riders team. One loss and one win from two matches. According to SRK, it wasn't bad. The team started slow on the first day against Deccan Chargers. Deccan Chargers looked the hungrier side. He defended his team beautifully setting the multiple captaincy saga, Gavaskar lash behind. He can be excused for that. After all, I can imagine what amount of hate mail he must have got when Sourav Ganguly a.k.a. Dada was removed from captaincy. But when he said that his dream was to bring the IPL trophy home to Kolkata, was he really serious? Don't get me wrong! I have my loyalties set correctly. My heart is for the KKR team. I have the KKR wallpaper on my laptop wallpaper. I have the KKR theme on my orkut profile. I listen to the 'Korbo Lorbo Jeetbo' song on television atleast once a day with much pride. I follow KKR on twitter. I plan to buy the official t-shirt too. When any discussion comes up over the team, I defend it religiously. But then the mind does not believe in the team. It would definitely bet upon Delhi, Mumbai or Chennai for that matter for the IPL '09 trophy. And why wouldn't it do so? Okay they won their match against the Punjab team. Veer's team had defeated Zaara's team. And Zaara would surely not be kissing or hugging Yuvi last night. But was the manner convincing? I mean just look at the stats. It was a 2-man show for Kolkata. While bowling, it was a beauty of an over from Dada that got us 2 wickets in quick succession and stemmed the start. If he had not done that, then Punjab would have scored above 180 and the match would have slipped. And while batting, it was Gayle. His whirlwhind 44 which included 4 sixes and the rate at which he hit made sure we were ahead on RR and thus put us through when the D/L method came into effect. Now look closely into the bowling statistics and you would find a lot of mistakes. When you have a specialist spinner in Murali Karthik why bowl him for only one over and Shukla for 2 overs? Was Karthik picked up as a bowler or an all-rounder? I don't have much knowledge about the stats but I certainly can say that Karthik's batting is not something you would bet upon to win you matches. Now lets come to the batting. It has always been said that to succeed in IPL, you need the local lads to fire. Depending totally on foreign imports is like playing with fire. Most of them don't stay up for the entire tournament and then you have the cap of playing only 4 per match. KKR's batting totally depends on the foreigners. If Gayle and McCullum both don't fire on the night, the brittle middle order gets exposed badly. And we don't have any tried-and-tested consistent performer in there. Sure we have Dada. But let's be realistic. Can you really depend that much on him now that he does not play for Team India anymore? And this fact was heavily exposed in the match against Deccan Chargers. You have a Brad Hodge there to bail you out at times but then again he is a foreign import and you have the max 4 foreigners playing criteria. So can you be totally confident with this team? Having said all this, last night's victory also told us a few things. Firstly, you don't need to have a team effort to win matches. How many of the T20 matches have actually been team effort victories? Secondly, you need just one or two members in the team to fire and that's it. You are done. Unfortunately, the Kolkata Knight Riders seem to be heavily banking on this. I too share the dream with SRK to see the IPL trophy come to Kolkata. I too would like to dance 'Korbo Lorbo Jeetbo' on the streets of Chowringhee when we have the victory lap. But its a dream which needs to be heavily worked upon and a dream which does not look to be fulfilled in this edition of the Indian Premier League. Has it been the Hell that was promised? 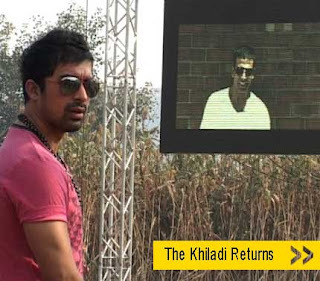 Well the 6th instalment of MTV Roadies is coming to an end with the grand finale. Needless to say, this season has been "entertaining", to say the least. But the fireworks have not come from the pitch but from the tents. This season has been dominated by fights, abuses, foul mouthing more than actual tasks. It was supposed to be Hell for the contestants but more than that some of the days it had become Hell for the crew of Roadies. Now first lets analyze the situation. The finalists are Nauman and Palak. The former being the christened lover boy coming back to play politics to survive. And the latter the total abuse queen. I still remember the vote out when she abused Sufi. It must have taken Sufi a lot of patience not to react to her foul mouthing with a tight slap. But seriously, ever since Sufi has left I have lost my interest in the show. If you would ask me, Samrat or Sufi deserved to be winners. None of the others had that vigour, courage, strength to go on to win. And the irony is, the reason for exit of both of them is now getting a shot at the prize - Palak. If you go back to the day the group came to Australia and after the vote out where Sandeep went out, the group dynamics had changed. The GROUP (Sandeep, Pradeep, Roop and Bobby) had left. The ones there had to make new FRIENDS. There we saw Natasha going out due to a plan by Samrat and Palak. Thereafter Sufi took centerstage as the planner and Nauman his accomplice. A great show in the crocodile task gave Sufi the platform to vote Samrat out. But that left a bad taste with Palak and she took it out in the next vote out when a twist in tale gave her full power instead of setting her home-bound. Since that vote out, Nauman has been winning all the tasks and the immunities. Why won't he! He was the only guy amongst the team and the ladies weren't really the tough ones. So first Natasha went out due to her own stupidity and then the inevitable exit of Poulomi, a girl who should have been voted out in the second episode when actually Varisha went out. Coming back to the Hellish part of it, I am not too sure whether the contestants have been through the Hell which was promised. More than the tasks, the bickering and bitching and fighting and shouting of contestants has been Hell to the crew. From Palak's fights with Tamanna to Poulomi's outburst with Palak at the camping site the Roadies crew have had to endure a lot. To some extent some of the tasks were surely difficult. Like the one where Sufi had to fight two wrestlers alone, or the one which had crocodiles. Those were good ones and were well performed too. To my knowledge this year's group have performed better than the one last year. Last year's one had losers. Nauman and Palak may not be the best of the lot but they have done stuff. Not like Ashutosh of last time who had done absolutely nothing but still won it. I bet if Devarshi would have survived some more time and come to Australia, that sure would have had been hell for most contestants. But as far as the twists in the show are concerned, they have worked marvellously. From Roop's vote out to Sufi getting advantage and blocking Palak's vote to get Samrat out to Palak getting that power when they opened that envelope to Natasha's vote out. Those twists have been great and changed a lot of the dynamics which is great for the show. Anything that doesn't go according to script works wonders for reality shows and they just bask in that glory. Anyways, this edition is going to come to and end this weekend. And the end is in India. I sure look forward to a grand finale this time. BarCamp Bangalore is back with its 8th edition. And this time it’s at Yahoo campus (which incidentally was the venue for the 1st edition). For those new to the concept of BarCamp, a BarCamp is basically a network of user generated conferences which transformed into the term unconferences (which we use for the sessions in Osmosis). Its open participation which means you are free to join any ‘unconference’ at any given time. BarCamps have been taking place all over the world and in India they have been active in Bangalore, Delhi, Kolkata, Mumbai, Hyderabad etc. Bangalore obviously is the leader in India having organized 7 editions successfully already. For more details about BarCamps visit the wiki page http://en.wikipedia.org/wiki/BarCamp or its website www.barcamp.org . BarCamp Bangalore 8 (BCB8) will be at the Yahoo campus on 7th and 8th March, 2009. The sessions will be on various topics but having attended 2 already, I can tell you they will have a beautiful mixture of technical and non-technical topics. It’s a chance to meet a lot of people from across the community, share knowledge, gain knowledge, and also have fun in the process. Participation is free and everything is sponsored (including the food). Be there! Feel it! I can assure you won’t feel dejected. How hellish is this hell? The most loved, most hated, most admired, most controversial, most bitchy... (the list goes on... ) reality show is back with a whole new season. And this time, it promises to be a "Hell Down Under". Yes! I am talking about Roadies which enters into its Season 6. Like each time, it has a bunch of wannabes from various parts of the country vying to become the last surviving Roadie and win the final grand prize. 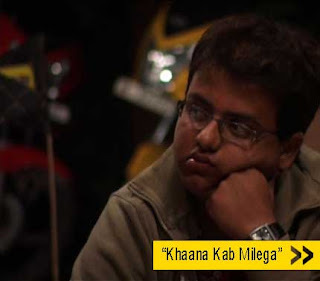 Like each time, they have Karizma bikes to ride through their journey. Like each time, they have Rannvijay as their host. But hey, there sure seems to be something different this time. For starters, this season all the auditions were taken up by the bald twins. So unlike earlier times, you don't have Nikhil/Rannvijay or other MTV VJs taking up any of the auditions. Some real weird characters emerged from these auditions. I remember this girl from Kolkata auditions - Paulomi. Apparently, the craziest thing she had done was try to suicide. She was branded as a Psycho by the judges. But surprisingly, she was chosen. I guess anything that is not typical is news, and news sells. And since its the contestants who are the biggest selling factor of the show, non-typical contestants are the selling factors of Roadies. Another interesting character during the auditions was Ashish from the Mumbai auditions. That guy had apparently prepared for 2 years for the audition. He had studied the earlier auditions and planned how to answer to what all questions. The guy got such a solid bamboo from the judges that he would never even dream about the auditions ever in his life. So finally after all that, 20 Roadies were chosen by the panel of judges to take part in this season's show. Now on their first day, after meeting each other and partying around at their first location in Manesar, the first shock was revealed. Some 10 Roadies were chosen as safe by Raghu and his team and 10 others had to "Prove themselves". Their task was some series of military type drills. The team members were tied to one another by legs and arms. Before the task started, Akshay Kumar (who seems to be at every place where there is action related stuff going on) wished them luck over a video shot earlier and also informed that the team losing will be immediately eliminated. The task was tough as it involved a lot of coordination and correct decisions in terms of jumps etc. The part of climbing the rope structure and lying on the ground and cutting your way below a wire structure was dirty and difficult as they were all tied to one another. Finally eating parathas laced with mud without using hands is obviously not easy. Finally the yellow team of 5 completed it faster than the green teamand so the latter were immediately eliminated. But it was not over for the episode. The vote out, one of the core elements of Roadies, had to be undergone. The yellow team went through the vote out in which Sufi, one of the strongest contestants in this edition, got eliminated. The politics had started and we had not even completed Episode 1. Sure, politics seems to be integral to every edition of Roadies. Next episode, the Roadies literally start their journey on their bikes. Let's see how hellish is this Hell that Roadies 6 is billed as! But for the show's and Roadies' sake whatever happens, I sure hope the spirit and passion that is synonymous with Roadies is surely on display this time.